Inkochnito last edited this post 3 years ago. Thanks for all the effort you put into this! I have used your site several times and the quality is very good. 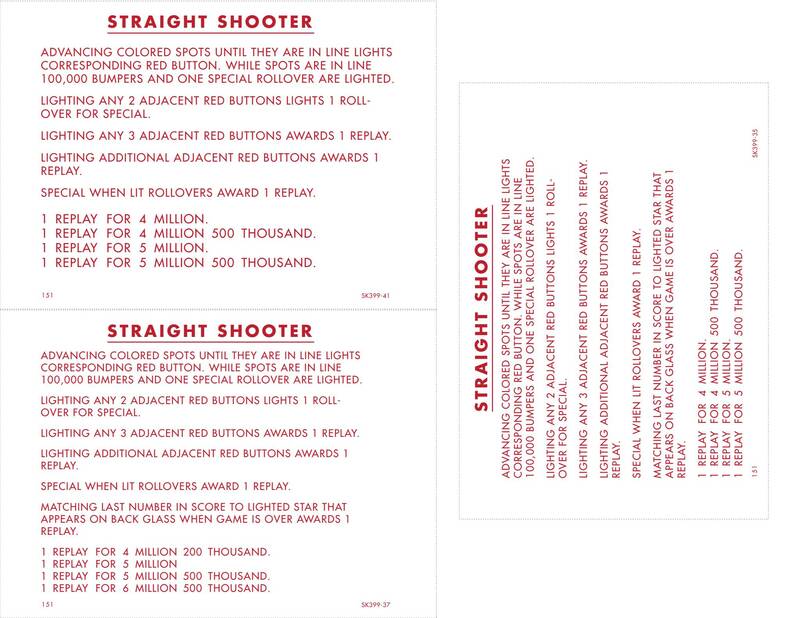 Here are instruction cards for '59 Gottlieb Straight Shooter. Thanks for providing these. I just printed a couple out to make the cards match the game settings and circumstances for our Solar Ride. I've been working on all the Tech Charts lately. Every chart has been corrected and updated. Bally Eight Ball Deluxe and Twilight Zone have been corrected. 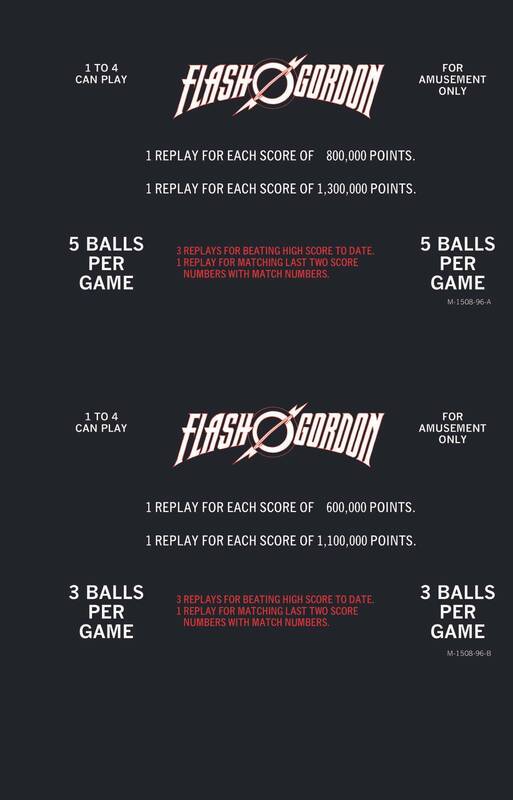 I added French cards to Data East Lethal Weapon 3 and the price cards file. Added Gottlieb Rock Star on request. I was able work on some Recel card sets together with some guys from the Spanish forum. Now there are sets for Fortune, Icarus, Lady Luck and Space Race. Along the way I also corrected the other Recel files. Since Stern does not release their card files for the SAM system games, I had to create CSI myself. If you have any other language cards for CSI, please send me a copy. Maybe later some more Stern files will follow. Took the time to donate to Inkochnito today. It wasn't much, but it is a token of appreciation for the information he makes available. Even a small donation is appriciated. Over time I was able to buy me a new laptop and continue the work. Some donations went into new tools to work on the real games. Tools like a capasitor ERS meter and the great PIA and RAM tester. Cool thanks. Seems like there is always at least one item I need included in each update. This time it is Meteor. Bump! Thanks again for this great resource Peter!! Great site! Thanks for all your work!! Bumping this for a great site! Great site. Thanks for you efforts. I use the tech charts almost daily. Wow! Huge update this month. Thanks again! Thanks for continuing to add and improve. You’re an asset to the community. Thank you for your continued work and dedication, Peter. I recently used your cards and backbox documentation on my Bally Kiss restoration. I'll be sending along my yearly small donation to say thanks...I encourage others to do the same if you use this great resource! Wow that is a huge update. Thanks for all the great work. Just made a paypal donation. If everybody reserved a dollar or two for each game they fixed, then maybe I'll be a rich man. Hi inkochnito . Great stuff on the latest Rocket III cards. 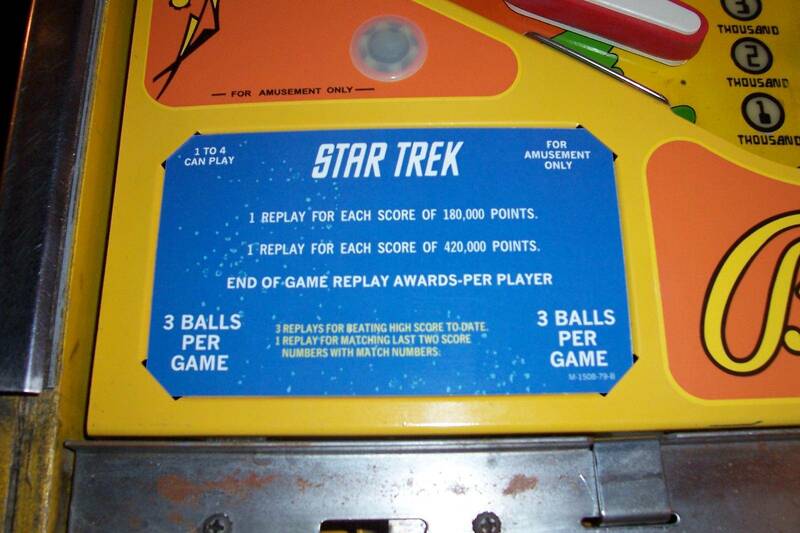 You now have the hi-score insert cards for "Added Ball" but was there a related PLANET BONUS card, as that awards an Added Ball too for lighting Planet 9. I can modify your Word version but interested to know if you had originals as source for these to get the original wording. Something like "1 Ball added for lighting Planet 9" ? If I did it would be in the cards file. Do you prepare the pdf's in some other way as they appear better formatted than the MS-Word versions? I use MS-Word to create these files. If you do not have the right fonts MS-Word will replace them with a similar font. PDF files do not do this. If you send me an email, I will send you an adjusted file. I will add the "Add-A-Ball" card as "needed to verify" and without card number. 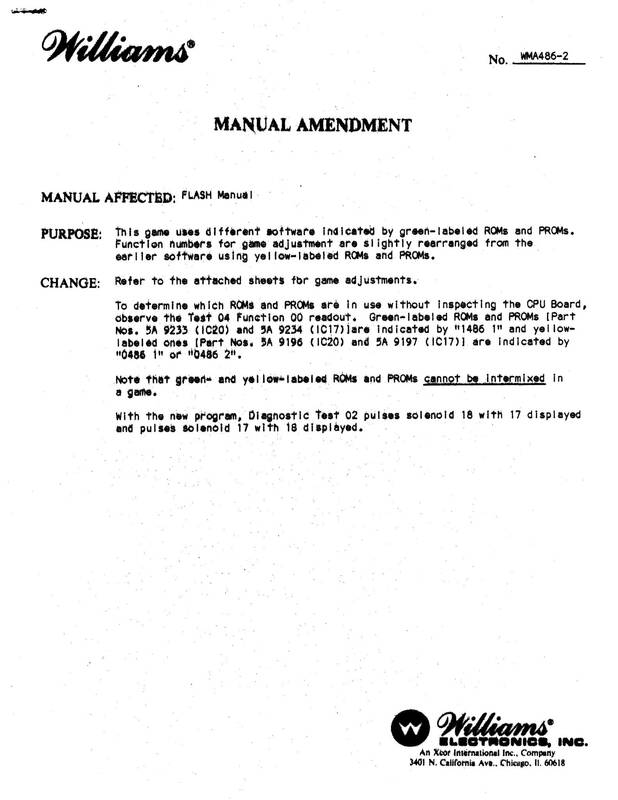 I was looking for the updated sheet of adjustment settings for green flipper roms on Williams flash. I have one but the print is terribly hard to read. I took a quick look but couldn't seem to find on your site. I find it hard to believe you don't have it. 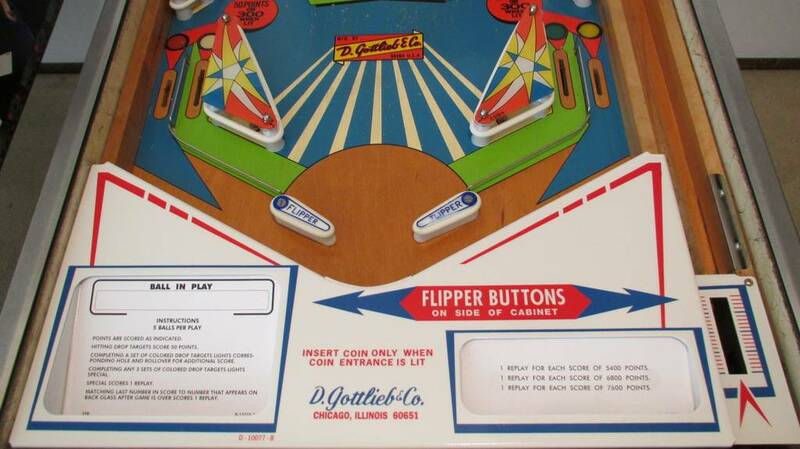 Has anyone ever offered up the labels for Pinball 2000 machines? 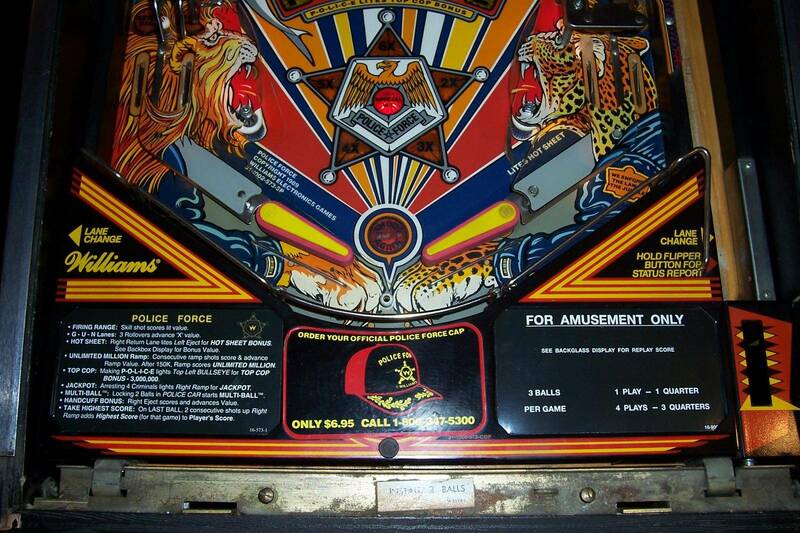 Peter, better still, a fellow pinsider/Rocket III owner has provided me a photo of the original card ADD-ROC-1. I'll email it onto you.